All eyes will be on Finance Minister Bill Morneau when he delivers his first federal budget March 22, but in an interview on The House former Bank of Canada governor David Dodge says the important thing for Morneau is to focus on long-term economic goals. 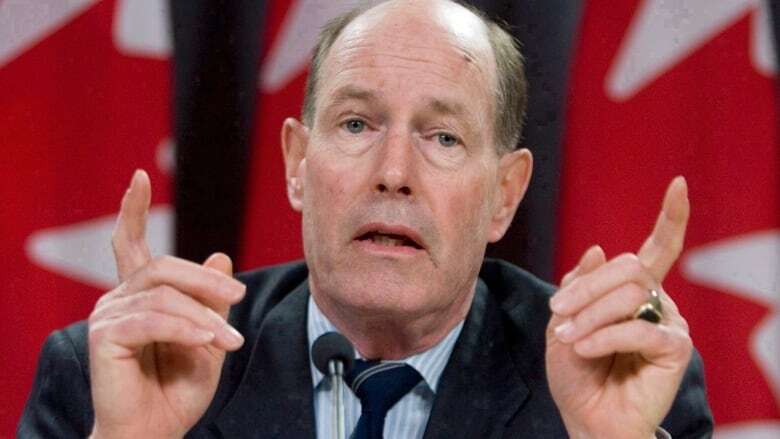 All eyes will be on Finance Minister Bill Morneau when he delivers his first federal budget March 22, but former Bank of Canada governor David Dodge says the important thing for Morneau is to stay focused on the government's long-term economic goals. "First budgets are always extraordinarily difficult for a new government," said Dodge in an interview with host Chris Hall airing Saturday on CBC Radio's The House. Dodge, who served as deputy finance minister in the Chrétien government from 1992 to 1997, was Bank of Canada governor from 2001 to 2008. "I think the real danger is that they will try to do everything at once, and yet what they really need to be doing is planning for four years of budget that will enhance Canada's chance to grow rapidly in the face of demographic issues and a declining labour force. There is a danger of overdoing things at the start." Dodge warned of a "demographic mountain to climb" and said the federal government needs to prepare for a decline in population as baby boomers age out of the workforce. "The real issue [for Morneau] is to set the stage for the major infrastructure investments in physical and human capital going forward," he said. "That will take time to plan and to execute." For that reason, Dodge said he was "extra disappointed" that the Liberal government will restore Old Age Security eligibility age to 65 in their first budget. "That is a backwards step," he said bluntly. "That is a step that doesn't recognize the problem we've got out there, that we're going to have to climb a mountain. [Restoring the age to 65] doesn't help in encouraging longer participation in the labour force." Dodge called the government's move a political decision that he doesn't think is "a very good economic decision." "My advice would have been, let's duck this one, let's leave it and see where we are when we get a year or two down the road," he said. "I think most of us think that as we move forward in time, we're going to have to increase the [OAS] age up [even more] from 67." Dodge agreed with Prime Minister Justin Trudeau's focus on "unsexy infrastructure" in the first budget, saying now is not a bad time to get on with deferred maintenance projects. But he added that social infrastructure projects like housing won't result in the type of economic growth government hopes to see. "It's a consumption item," he said. "It may need to be done for social reasons, but it's not going to be growth-enhancing in the way that investment in transportation infrastructure or trading or innovation would be." That's an assessment Calgary mayor Naheed Nenshi disagrees with, calling Dodge's stance "a bit old-fashioned." "The number one thing you can do to have economic growth is to have a productive workforce, and you cannot have [that] if people don't have a decent place to live," he said in a separate interview on The House. "We as a municipal government have to deal with the very real problems of homelessness or people living in substandard housing, and it is without a question a gigantic drain on the economy." 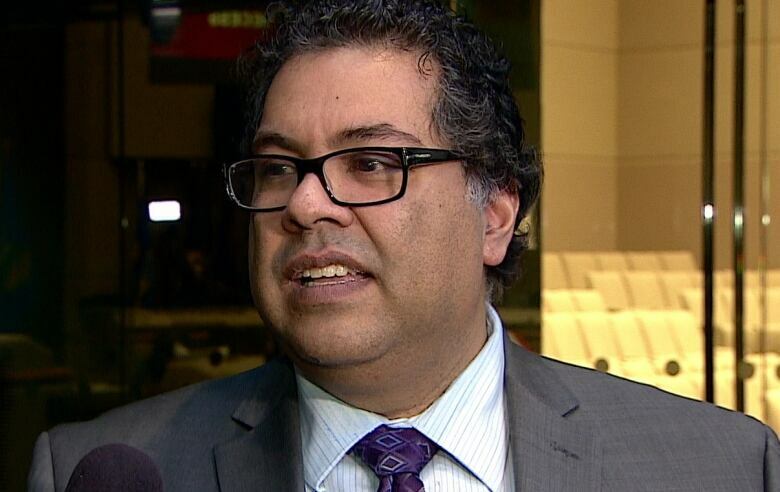 Nenshi also shared his own advice to the federal government ahead of budget day, saying he hopes to see at least a commitment by the government to funding public transit projects. "I don't know if there will be much money for it, but I'm getting signals there will be an affirmation of the government's commitment to that sort of project, and a roadmap of how to move forward," he said. As for whether the Liberals will increase the traditional federal infrastructure funding beyond one-third, with the other two-thirds shared by municipal and provincial levels of government, Nenshi said there was little choice. "Frankly, they have to. Not all of the provinces nor the cities can afford to cost-share so that we can get stuff in the ground this summer."